As first seen in the Fantastic Beasts and Where to Find Them film, erumpents are large yet gentle beasts with a long, rope-like tail, thick, grey skin, and a sharp horn on their nose. Does this remind you of an animal in the muggle-world? It should, because erumpents are frequently mistaken for rhinoceroses from afar, and like rhinos they are hunted for their horns. In an effort to raise awareness about both rhino and erumpent poaching, we have created Erumpent Rescue - an official campaign from the Protego Foundation in partnership with Saving the Survivors and Action for Rhinos. Right now, Africa’s rhinos are facing a crisis that threatens to completely extinguish one of the continent’s most important and iconic species. Poachers are killing rhinos to subsidize an illegal trade in rhino horn to satisfy increasing demands from Asian markets that use rhino horn in traditional medicine, carvings and trinkets. While erumpent horns are classified as Class B Tradeable Materials by the Department for the Regulation and Control of Magical Creatures, the trade in rhino horns needs to be stopped by the South African government. We have partnered with Action for Rhinos, an advocacy group focused on ending the poaching of rhinos in Africa. Send a Howler below to tell the Environment Minister of South Africa, Edna Molewa, to end the cruel trade in rhino horns. Rhinos aren't lucky enough to be rehabilitated in a magically-enlarged suitcase, like the erumpent in Newt's case, but they are lucky enough to have Saving the Survivors. All proceeds from our Erumpent Rescue campaign tee will go to Saving the Survivors, a non-profit organization that treats between 80 to 120 rhinos a year for gunshot wounds, bone fractures resulting from gunshot wounds, and hack wounds. Action for Rhinos is a grass-roots community organization founded in response to the dramatic increase in rhino fatalities in Africa caused by poaching and a growing concern of the effects the illegal wildlife trade is having on the world's rhino population, particularly in South Africa. The Howler was written, in part, by the wonderful staff at Action for Rhinos. Send a Howler to the Environment Minister of South Africa, Edna Molewa urging her to take action for rhinos. Only she has the power to stop the rhino poaching and put an end to the slaughter of these magical creatures. 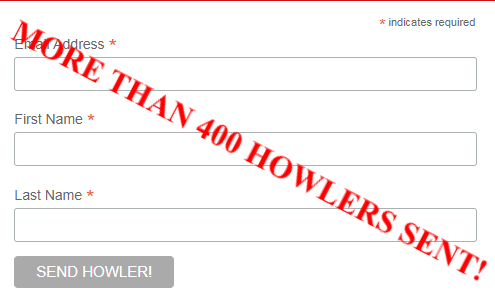 CLICK HERE TO VIEW THE HOWLER AND SEND YOUR OWN BELOW! Saving the Survivors was founded in 2012 by Dr Johan Marais to attend to injured endangered wildlife that have fallen victim to poaching or traumatic incidents. Whilst STS will attend to the needs of any animal that survives a poaching incident, most of Saving the Survivors’ efforts have been directed to rhinos due to the vicious attacks that many of them have fallen victim to. 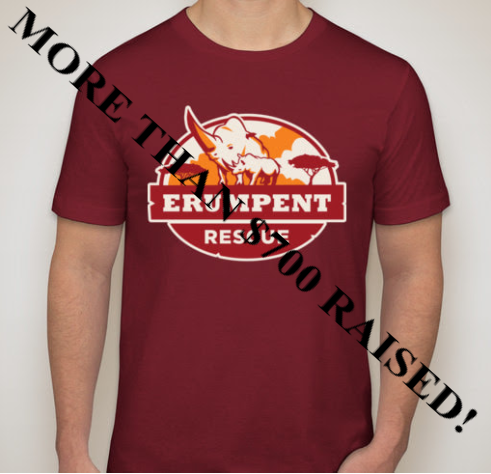 ALL PROCEEDS from the sale of the Erumpent Rescue campaign tee will be going to Saving the Survivors, and their life-changing work. HELP RHINOS. WIN FANTASTIC PRIZES. We have some magical friends who wanted to thank everyone for helping save erumpents and rhinos. Every person who signs our letter with Action for Rhinos will be entered to win one of the below prizes. 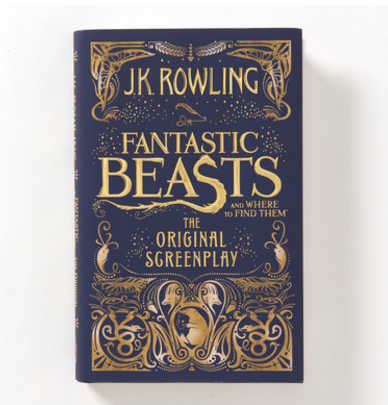 Fantastic Beasts Screenplay Signed by MinaLima! 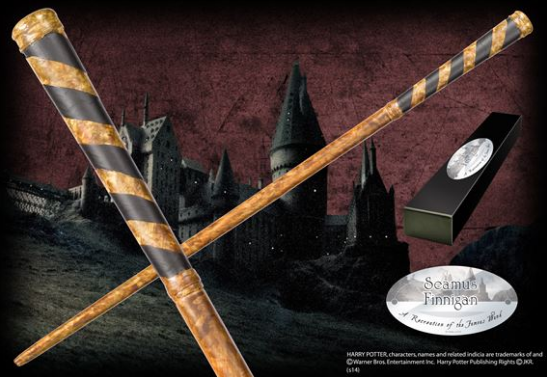 Seamus Finnigan Wand Signed by Devon Murray! Only with your help can we save animals!